Most people think fairy tales are limited only to movies, storybooks, comics, and novels but thanks to Fairytale Legends: Hansel and Gretel, which is a mobile slot game, gamblers can now enjoy a visually appealing gaming experience. There are 5 reels and 10 fixed paylines in this wonderful game set in the backdrop of a midnight scenery that looks serene and treacherous. There is a wonderful background music that sounds mysterious and dark but that adds more value to the game theme. All the aspects of this game are very entertaining and make you want to play more. With betting limits of £0.01 to £100 per spin, you can win from various surprises and bonus features offered by a fairy who appears randomly during the game. 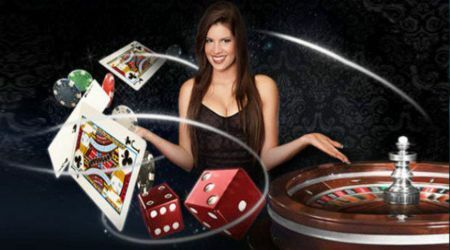 This amazing and magical mobile slot game was developed by NetEnt, a pioneer in online casino slots industry. They have many uniquely themed slots based on interesting stories and fairytales that offer fun and entertainment all the way. This mobile slot game is played using symbols based on the theme and they are the symbols of both the witch hunters of the tale along with FL game logo. The FL logo is the top paying symbol with 40 times the stake when five of it appears in a straight line across the middle row in the slot. There are some delicious and colorful candies that are the least paying symbols of the game. The bonus features are represented by the symbols of white birds and a treasure chest. Wild and Scatter: The white bird is the wild symbol of this mobile slot and it appears only on reels 2 and 4 during the base game but appears even on reels 1 and 5 during free spins. Wild symbol also appears in stacked manner to cover the reels and when that happens, you will get a re-spin as well. The treasure chest symbol is the scatter feature and three landings of this chest unlock bonus levels. Scatter Bonus Levels: There are three chests in this level and you can pick any one of them. One of them has coin win that gives you 15 times your total bet directly into your game fund. The second one is 10 free spins and the final bonus is the candy house game. In this game, you need to pick from 15 candies that can offer either offer you an average of 3 wins or a single win up to 120 times of your bet. With various surprises and bonus games within this mobile slot, you can definitely expect to make huge sums of profit by the end of the day.